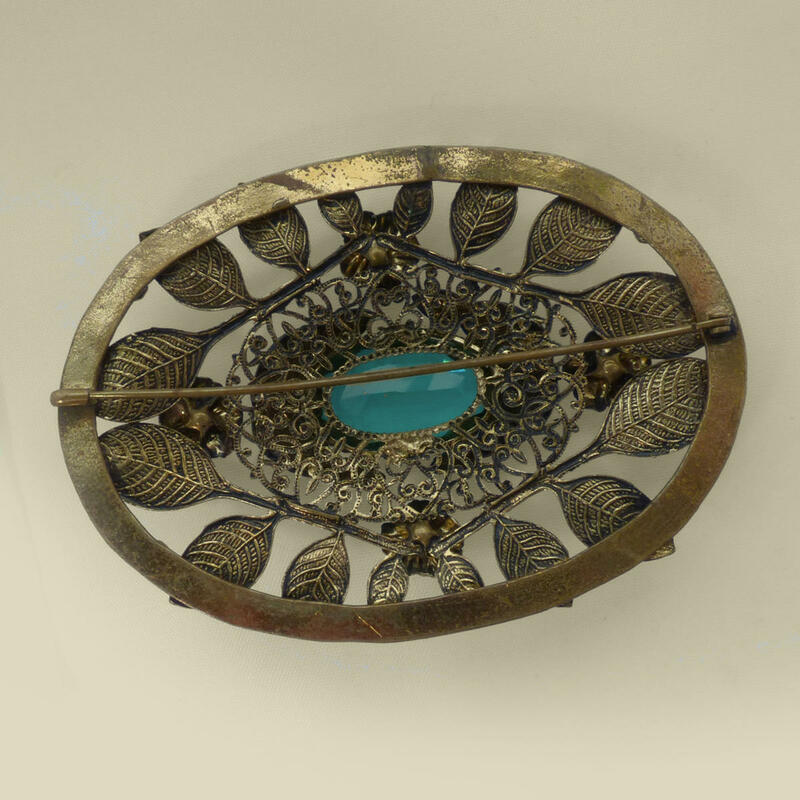 An exceptionally large, three dimensional antique filigree sash pin. Edwardian ladies would accentuate their corseted waists with wide sashes or ribbons, often in quite bright colours. These lengths of satin or petersham would be held in place with wide buckles or a large brooch like this. 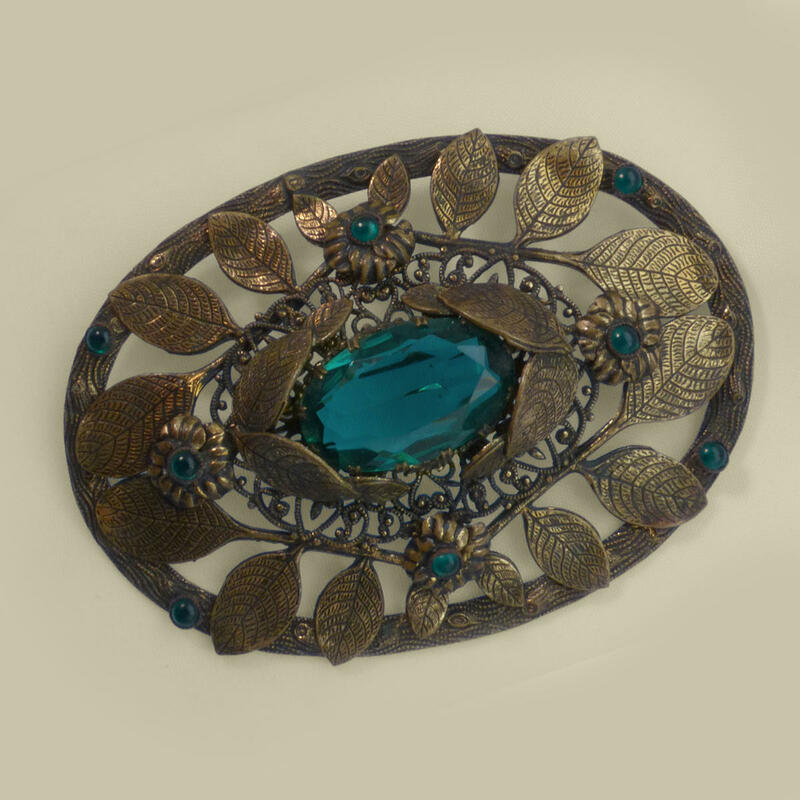 Beautiful raised stamped leaf and ornate flower detailing frames a large central emerald green glass faceted stone. Unmarked but undoubtedly of Czech manufacture. Old-fashioned C-clasp fastening. Late 1920's, but harking back to the Edwardian era. seraglia © 2018. All Rights Reserved.